Charmouth is a pleasant and peaceful town situated beside the sea in a sort of valley. As in Asnelles, there is an invigorating sea air! When walking on the pebble beach it is possible, if you look hard enough, to find ammonites. Theses are fossils of crustaceans encrusted in the rock, a speciality of Charmouth. -1- Quaint British houses in the road leading to the school. -2- The old town hall. -4- The beach of Charmouth. -5- The hostelry" The George". -6- Another sight of "The George". -7- A old thatched cottage. -8- Another old thatched cottage in one of the sloping streets of the city. 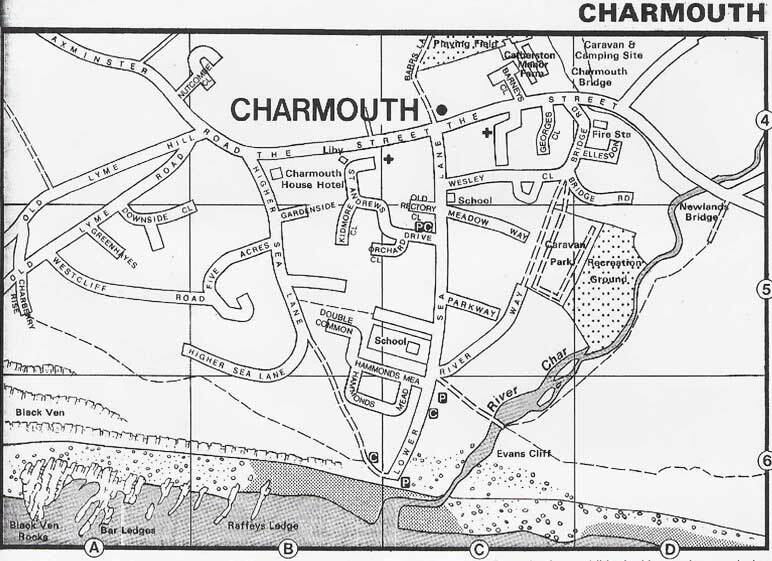 -11- The main street of Charmouth. -12- "The Queens Armes" hotel.